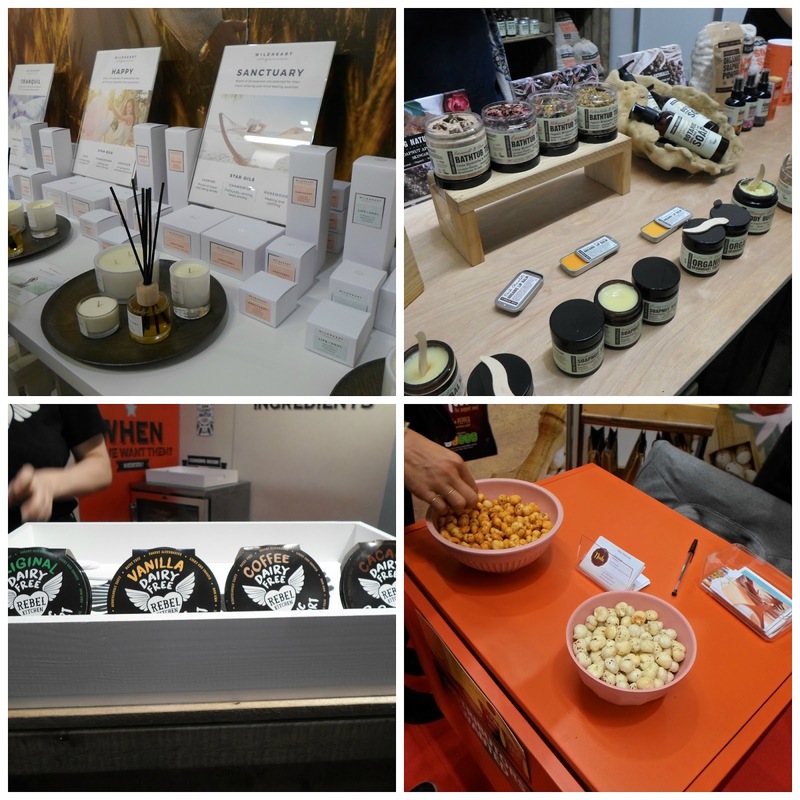 Jen and I recently visited the Natural & Organic Products Europe trade event which is held in Excel London. The show is large and can be overwhelming with crowds but I do enjoy learning of new brands, launches and re-discovering familiar ones. Let me jump straight in and tell you about brands and/or products that caught my attention. Sóley Organics - an organic luxury skincare brand using wild Icelandic Herbs. I'll admit it was their packaging which made us stop at the stand but the back story to the company is an interesting one which you can read over on their website. The use of herbs is probably what stood out the most to me, something a little bit different to other brands. Fair Squared - as far as I was aware they only made lip balms but I was mistaken as Fair Squared have products for top to toe. Packaging is simplistic but the brand has an excellent ethos and carries several certifications - Fairtrade, PeTa, Vegan, Natrue and Halal. Raw Gaia - a brand I have known for some time but have never ventured into their extensive range. At the show they were launching their MSM collection consisting of cleansing oil, tonic, cream and scrub. I was treated to a demo of the products on my hand and was very impressed, I also noted they are free from linalool. Raw Gaia is also a Vegan brand. Faith in Nature - many of you will be familiar with this brand, they have been around for 40 years and offer affordable products for all the family. They have added a Watermelon fragrance to their line. 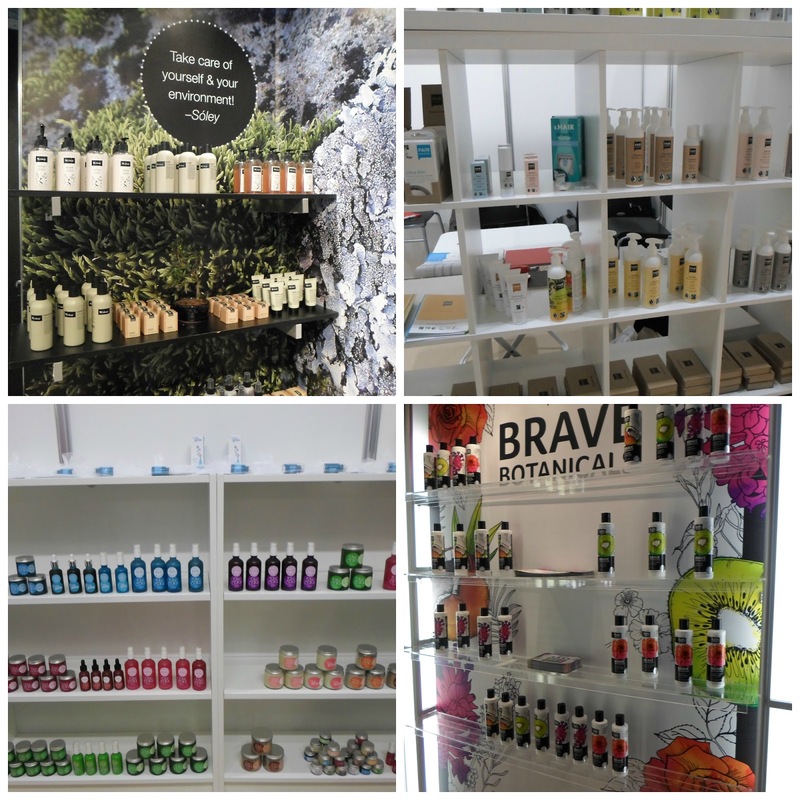 On the other hand Brave Botanicals is a collection of shampoos and conditioners. Wildheart Organics - an elegant range of aromatherapy candles and reed diffusers. Living Naturally - you may know this brand for laundry products using soapnuts but they also offer skincare and haircare. The Coconut Milk and Chai bathtub tea was a stand out for me as it smelt fantastic. With popularity for natural deodorants growing you may be interested to know Living Naturally have a scented and unscented cream deodorant. Rebel Kitchen - I'm a big fan of Rebel Mylks and now they have added coconut yoghurts to the product range. Nuto - probably one of the most interesting foods I found at the show. Light and airy as popcorn but made from lotus seeds. They are suitable for vegetarians and vegans but avoid if you have seed allergies. Probios GoVegan - vegan wheat croissants in 3 flavours - whole natural, chocolate cream and cherry. I preferred the cherry filling over the natural ones. Der kleine Strolch Come on Bert - the most amazing discovery of the show a Vegan "Camembert". It's a very long time since I ate the real thing but the memories came flooding back. It had the same rind and texture as I remember. At this stage I don't know if there are any UK stockists. Tsuno - sanitary pads made with bamboo and corn fibre, free from chlorine and dioxin bleach with biodegradable packaging. The company donates 50% of profits are donated to charities empowering women. It seemed this year there was more discoveries in the food section than the beauty. Intrigued by the vegan camembert!